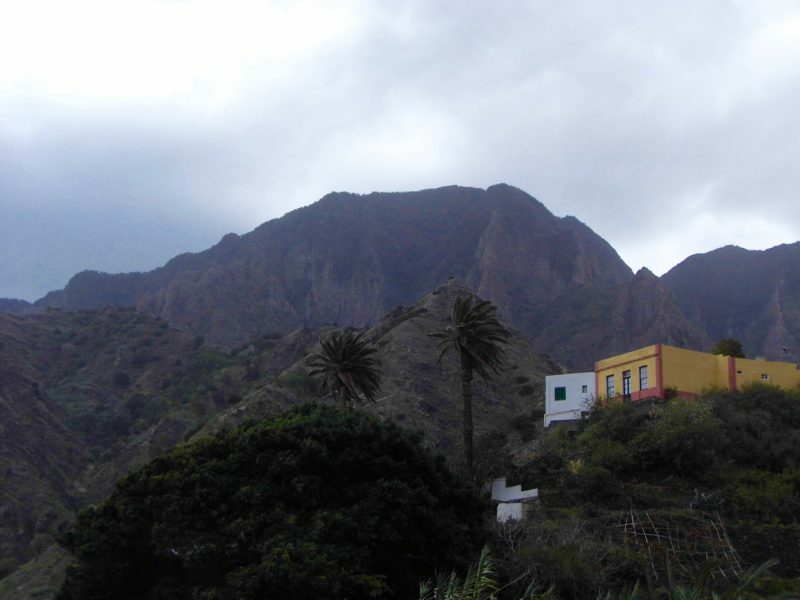 I first heard about La Gomera from an Italian girl I knew in the early 90s. She assured me it was the best of the Canary Islands as well as the quietest. It sounded all very mysterious, without a proper harbour or decent roads. It drew the hippies of Europe and getting there sounded pretty adventurous, not unlike in The Beach by Alex Garland. Having booked a week in Tenerife and with no car at our disposal, we were both quite keen to get out and about, if only for one day. 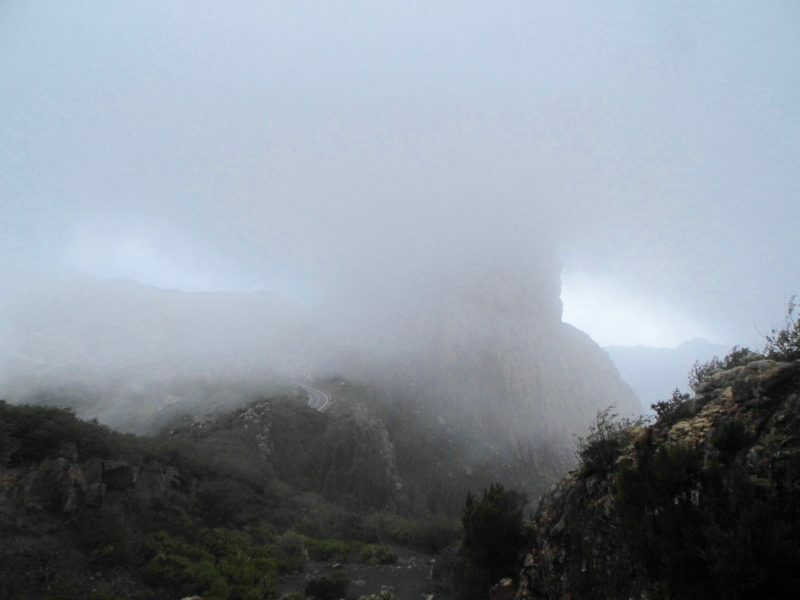 There were no plans to visit la Gomera as we fancied Mount Teide. However, the nice Lithuanian lady who sold us the day trip said that the roads could be impassable because of the recent snow. 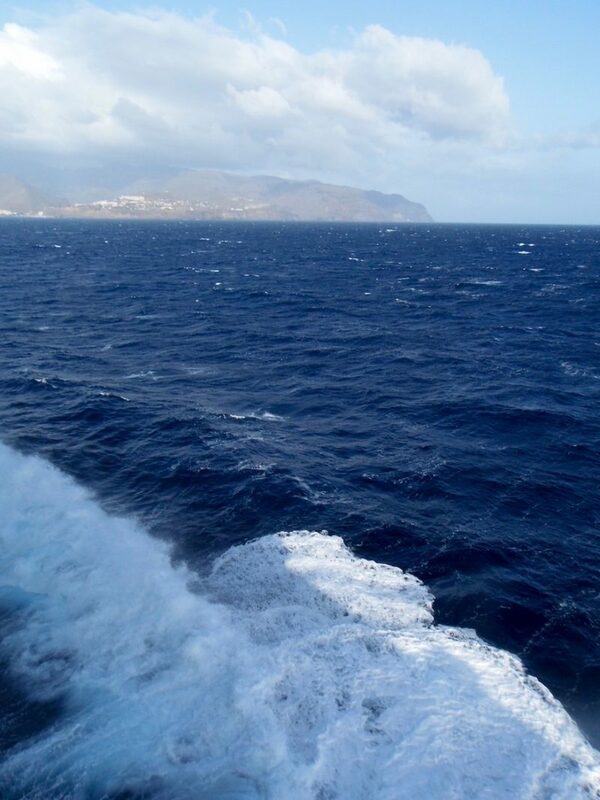 Besides, we could see the outline of the second smallest Canary clearly from the beach on the Costa Adeje – plus ferries going back and forth – which stoked our curiosity. So we booked a visit for the penultimate full day of our holiday, got up in the dark and jumped on the ferry. And so. Around this circular little world in six hours. Our day trip to La Gomera started at 7.30am when we were picked up near our hotel. From there it was a coach ride to the port at Los Cristianos then onto the ferry. After an hour-long sailing we arrived at the harbour at San Sebastian, where Juan, our coach driver would take us around the island. 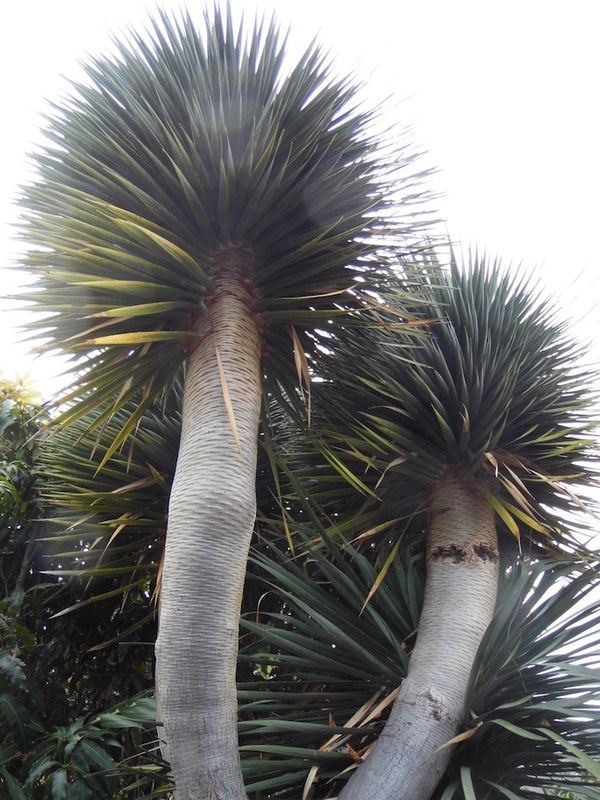 The palm trees here are native to the island whereas the ones on Tenerife aren’t? A big volcanic orange popping out of the sea! Not unlike North Berwick, my favourite place, La Gomera is home to volcanic plugs with steep inclines. Except that people have settled on these slopes, evidenced by the many brightly-coloured houses peppered around the island. 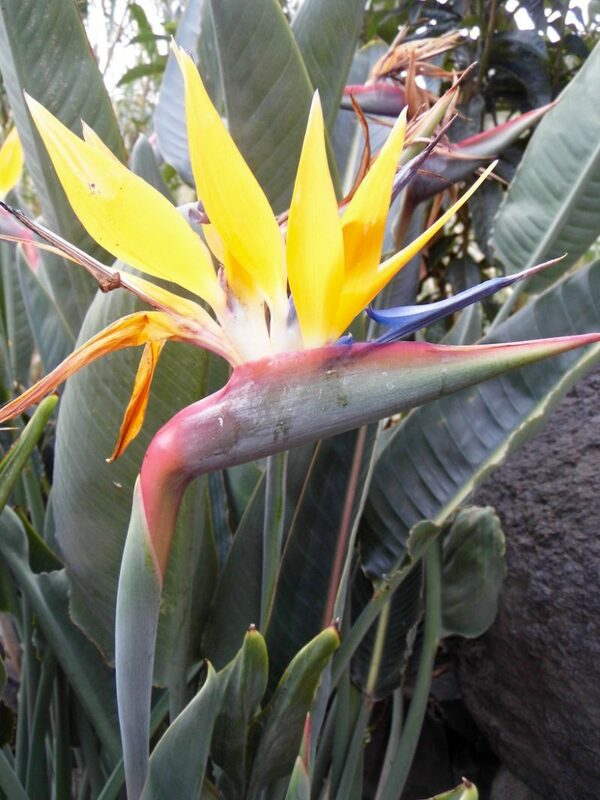 Greenery covers this isla bonita, contrasting it with the arrid landscape of the other Canaries. All over La Gomera you see terracing as Gomerans make the most of the fertile volcanic soil. Oliver told us that the island is a big exporter of bananas and has its own speciality, sweeter than most others. Meanwhile, good roads use the steep hills, diving ravines and valleys to their advantage. Which makes for a wonderful bird’s eye view of the scenery. Rest assured there are beaches too, though we didn’t see them today as time was short. The sunsets must be spectacular! Colourful ceramics, folk handicrafts and some unique Gomeran honey, miel de palma. Which isn’t actually honey but more of a syrup, harvested from Gomeran palm trees. These photos were taken at a small gift shop as part of the tour. The shop also included a big stand of Aloe Vera skincare products. I bought some in Lanzarote last year and I’m guessing each island has their own brand. Our €50 day trip included coaches, ferry trips, Oliver’s tour guiding in five languages and lunch. We arrived at the small hamlet of Agulo where two buses were decanted into La Zula. That’s where two of the waiting staff treated us to a display of Silbo, the aforementioned ancient whistling language. We found out that the Guanches, the pre-Hispanic settlers on La Gomera, used it to communicate with each other across ravines. Being an occasional English language teacher with an interest in learning new ones, this was an interesting part of the day for me. The lunch was quite simple, comprising of vegetable soup then rice and vegetables. The waiter kindly went back to the kitchen and brought me an potato omelette when I said I was vegetarian. Not a bad little meal break, plus we met some other day trippers who were seated at our table. Everyone else was, like us, on a few hours visit from the bright lights of Tenerife. Needless to say, I thought better of Instagramming our grub here today as it would’ve been cheeky with so many of us sitting down to eat! From there it was uphill to Garajonay National Park, situated more or less in the centre of the island. I was really looking forward to this because, unusually for someone who loves Spain and the Canaries, I do prefer temperate weather. Sure enough, today’s big surprise was the change in temperature. From a pleasant 18˚C it plummeted to 8˚C while we were in the wild woods. Good job Victoria, the young Lithuanian lady who booked our trip, had recommended warm clothing and sensible shoes. Maybe the French man in his open-toe sandals didn’t get the memo! 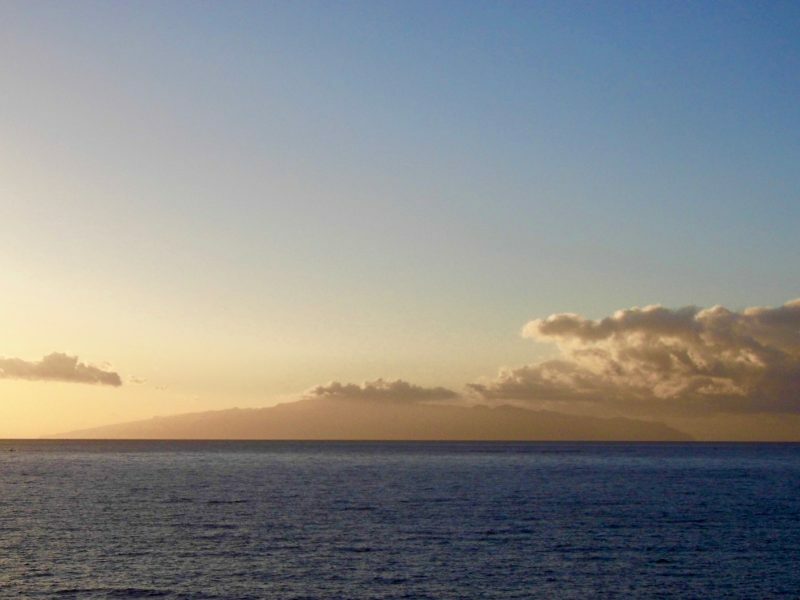 From Tenerife you see the outline of La Gomera, the edges rising very steeply to the peak. Which is itself capped by a big cloudy hat. Now we know why. Under the misty summit of the island it cools and its own weather system reigns (no pun intended!). The national park itself is full of lush vegetation and the rain really does fall horizontally. Right at the top of the island are these two giant plugs which Oliver told us an interesting legend about. Something to do with a young man climbing to the summit to win the hand of a fair lady – then falling right down into the caldera! See what happens when you show off? It looks like quite a dull day in these photos above, but minutes later it broke into bright blue skies. Look at the colourful buildings on this island! The streets are so clean and everything you need in a town in terms of shops, restaurants and bars is at hand. Stephen even spotted a little language school. So perhaps if we move here there’s somewhere I can hand in my CV. 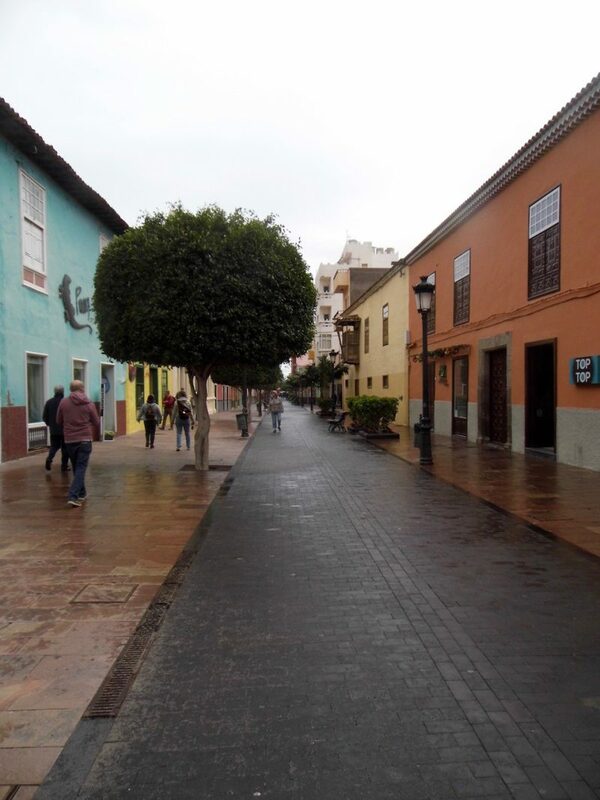 We had thirty minutes free time to wander through the streets and get a feel for La Gomera’s main town. And we found Pension Victor, a colourful little spot which I’d probably adopt as “my” cafe if I lived here. Woah, that’s the second time in as many paragraphs that I’ve mentioning living on La Gomera! Could it be done? Well, I do like the idea of island life and being surrounded by water. 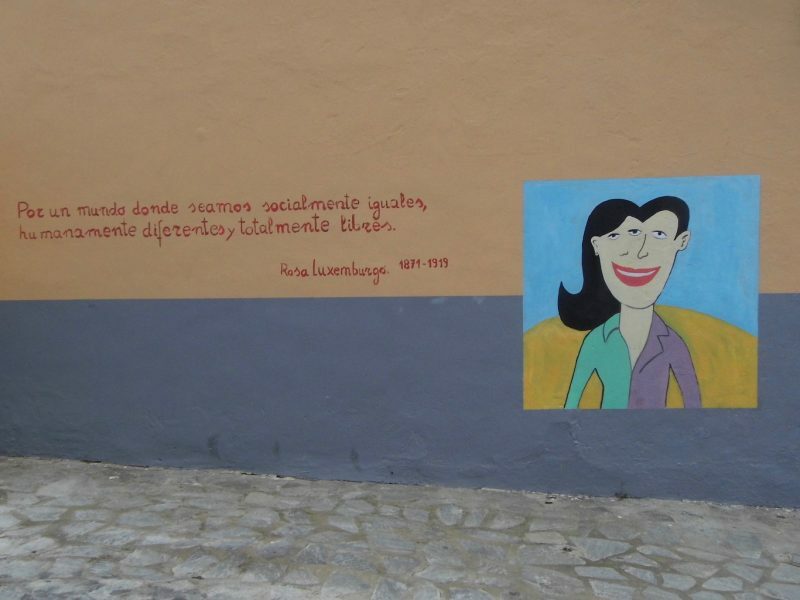 And there’s certainly enough creative inspiration to feed me, plus I can speak Spanish (Castillian). There are many places I visit and fall in love with, breaking into an “if I win the lottery” scenario. I can safely say that I see why my old Italian friend would visit so often. 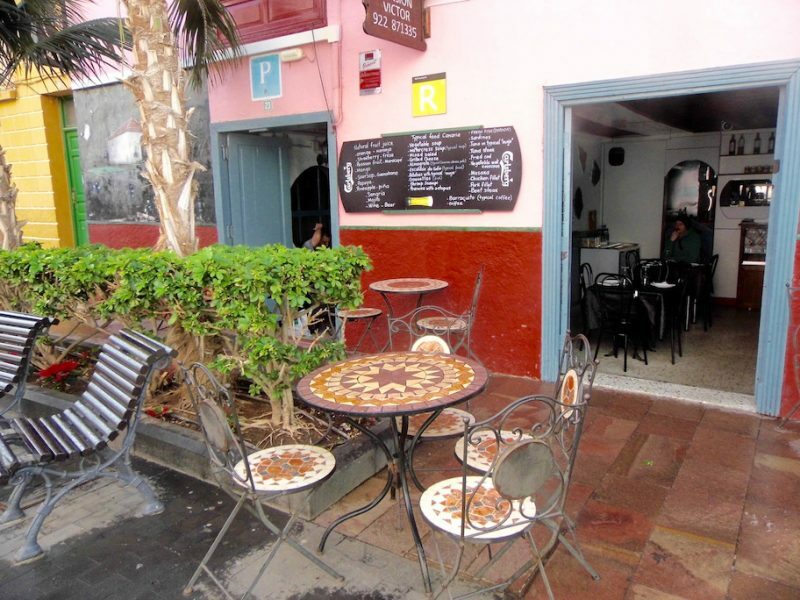 LA GOMERA – WILL WE COME BACK? Good walks, delicious food, dolphins, yoga, not to mention swimming in the sea and glorious sunsets. Most definitely! I’d love to have a proper stay here. In fact, I’ve started to look into how to at not too high a cost. Ah well, we did see plenty of caves etched into the impressive landscape, so who knows? 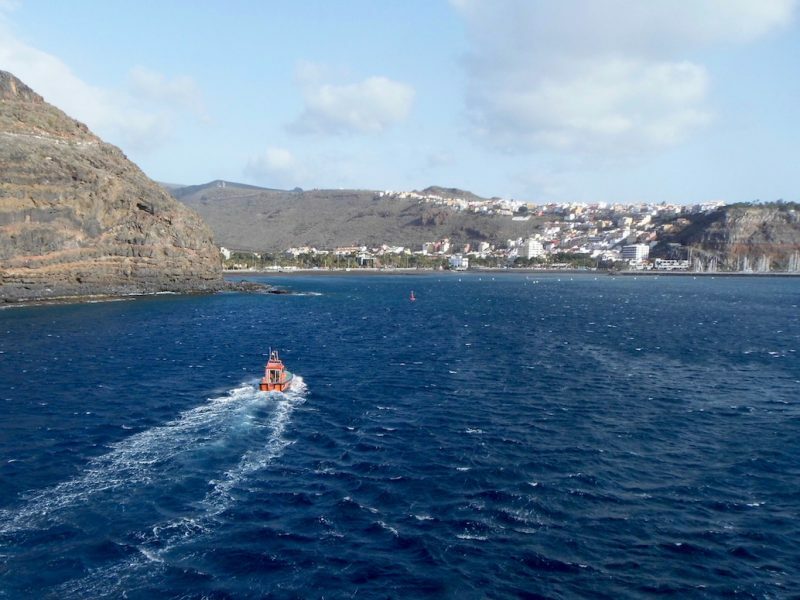 If you’re on the Costa Adeje or the environs of South Tenerife, why not get in touch with Ekskurijos Tenerife* to arrange a day out on La Gomera? 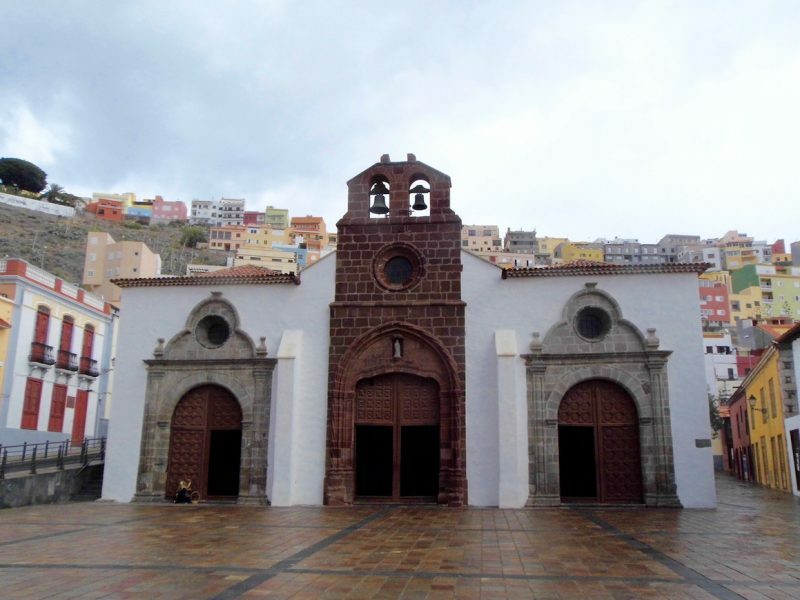 Have you been to La Gomera? Tell me about it in the comments section. * Unsponsored post: All my own thoughts and independent appraisal.